Leopard is our favorite color! You can not go around the leopard print anymore: on the street, in your Instagram feed .. and we are also a huge fan! 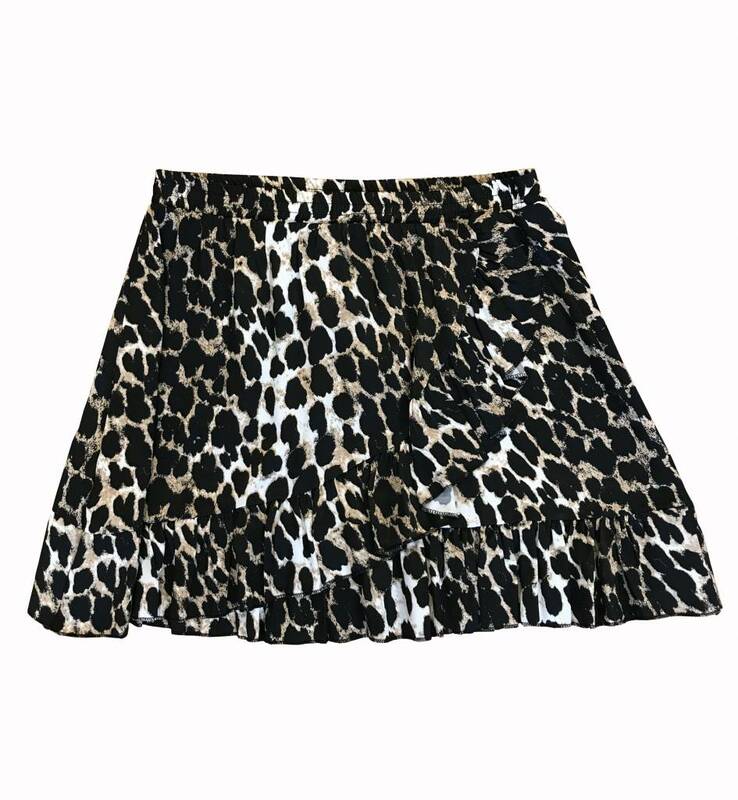 Unfortunately, the perfect leopard skirt is hard to find, so we are super happy that we can add this nice copy to our collection! Extra nice are the layers and this leopard skirt fits nicely in your waist by the elastic band. The skirt is made of a fine, supple fabric. This leopard skirt is super under a colored statement shirt. Tip: combine it with the Sweet Heart shirt for a perfect match! Biker boots underneath and your festival outfit is complete.